Your organization’s culture represents the collective character, values, thoughts, emotions, beliefs and behaviors of your leaders and individual contributors. Your organization’s culture is a product of such factors as its’ history and how your leaders and individual contributors ascribe meaning and value to it as well as leadership style (legacy and current) which is then reflected in the creation and implementation of your organization’s values, vision, mission, purpose, strategy, structure and roles. Your organization’s current and future operating success is tied to the “health and vibrancy” and overall “maturity” of your culture. Regardless of your unique transformation challenge (e.g., the need to be more innovative, collaborative, global, more responsive, more efficient, execute better, become more customer-focused, or even integrate or merge with another organization, etc. ), your culture and how strong and vibrant it is, will determine if you succeed or fail. 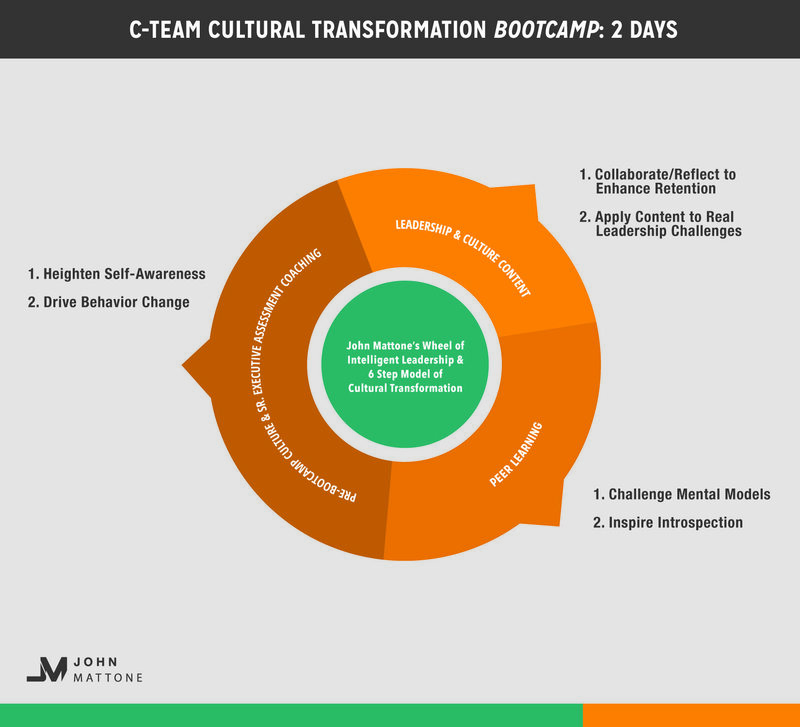 If your organization desires to go from GOOD to GREAT and from GREAT to even BETTER, you must attend and continue to attend to the 6 Steps of Cultural Transformation®. 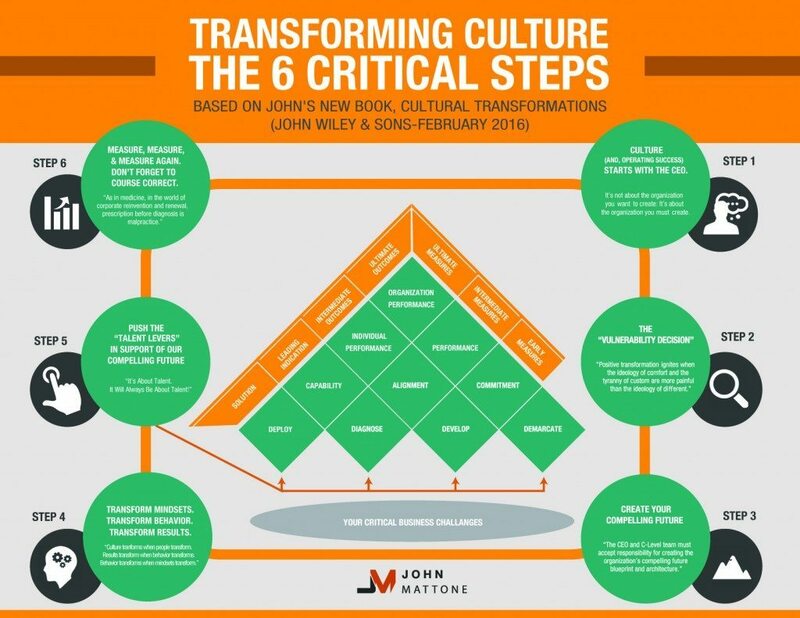 The infographic below, Transforming Culture: The 6 Critical Steps, highlights those steps and my new best-selling book, Cultural Transformations: Lessons of Leadership and Corporate Reinvention provides additional detail to help you and your organization successfully navigate your transformation challenges. Beyond the Book, I have listed below six ways my team and I can help you with your transformation efforts. Whether your organization is a “market leader” or “laggard” doesn’t matter. The NEED to transform never ends as all businesses are facing growing DISRUPTION from all angles. 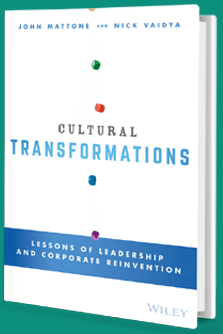 75% of transformations fail, meaning that these organizations no longer exist or they are at risk of no longer existing. They failed in their transformation efforts because they were not as diligent as they needed to be with their cultural transformation efforts. Only 25% of organization’s who are considered “market leaders”, transform from a position of strength to sustain their position of strength, while 75% of “market leaders” currently are not engaged in positive and pre-emptive transformation efforts—which almost guarantees their eventual failure. Search My Website. I have written more than 250 blog posts and articles that can be accessed directly on this site and I am currently writing two blogs per week on the topics of leadership, culture and talent. Also, order my books and pre-order my new release, Cultural Transformations. 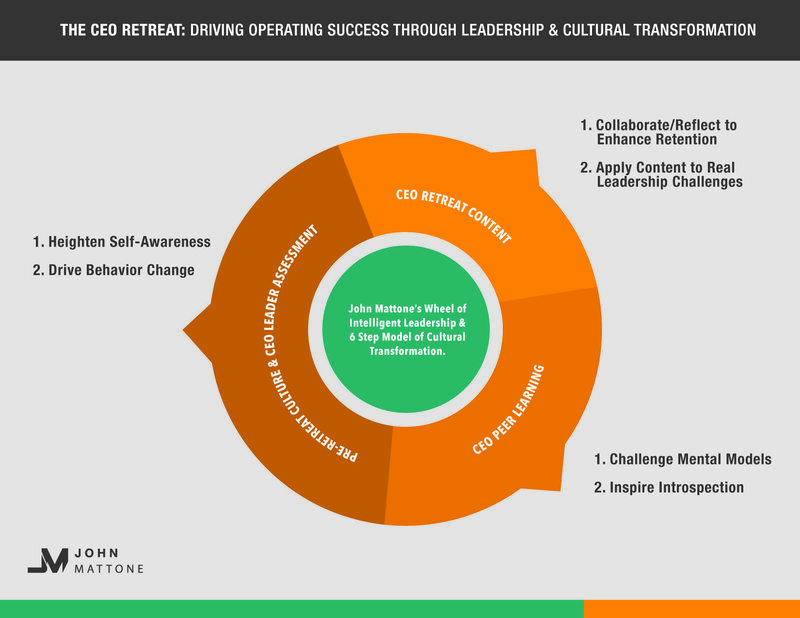 Participate in my 2-Day “Cultural Transformation” CEO Retreat. Beginning in the 1st quarter of 2016, I will be conducting a quarterly Retreat exclusively for CEO’s. 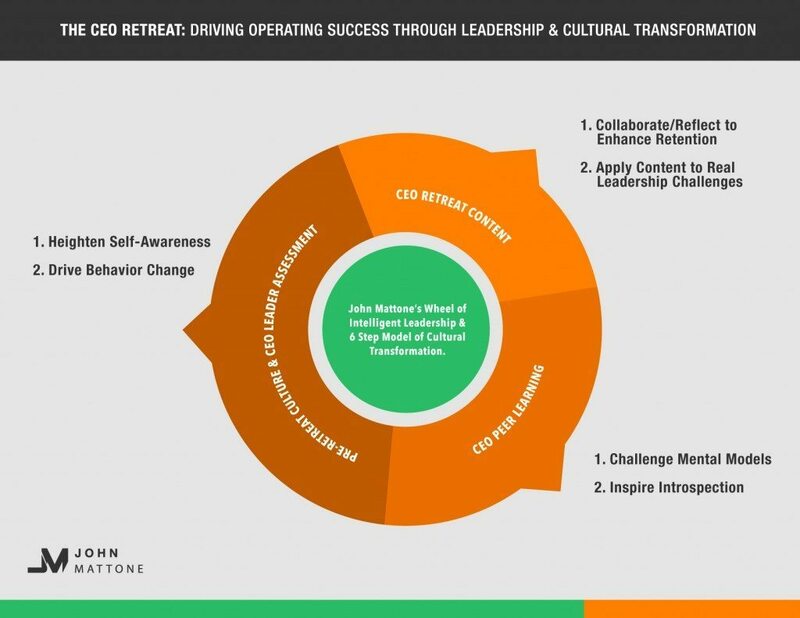 Each Retreat will be limited to 15 CEO’s who will come together to learn: (1) the latest research and ideas from me (and each other) about culture and leadership; (2) how to successfully transform their culture in support of their operating goals and vision; and (3) how to lead as a CEO (and C-level team) to best support their transformation initiatives and ensure sustained success. 1. Meet with the C-level team and sponsor team to learn more. 2. 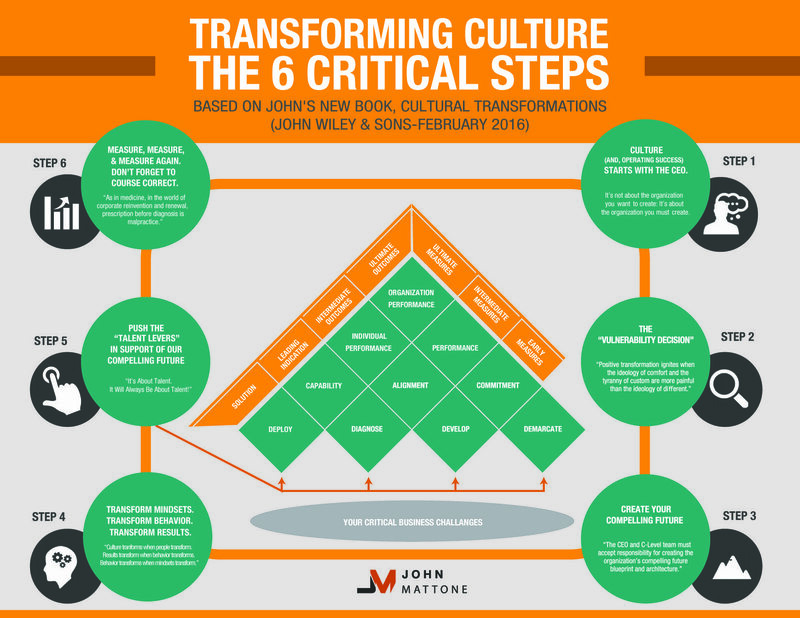 Administer our 5 Cultures of Culture Assessment (5CCA) to your employee population.